Glittericity: Layla Hologram Effects: Coffee Love! Layla Hologram Effects: Coffee Love! So, like most people in the nail blogging community (and--let's be honest--on the planet), I have a major thing for holographic rainbowy shinyness. 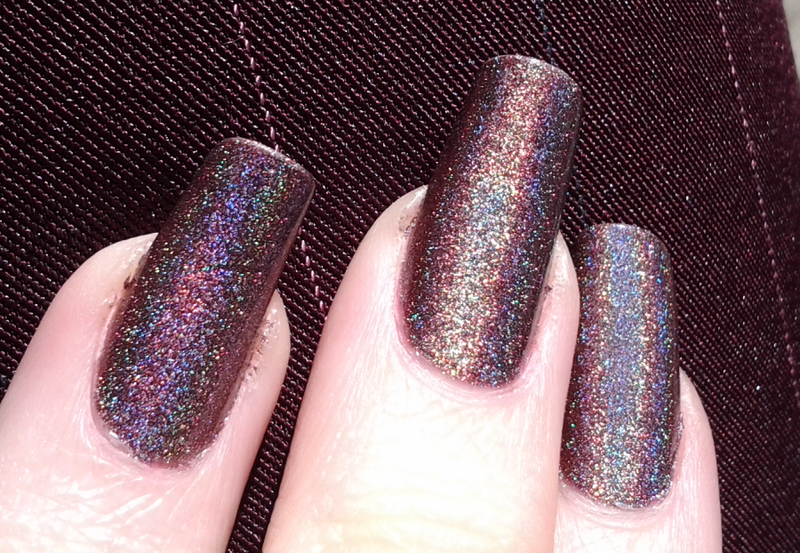 How can one not love the prismatic effect of holo polishes? 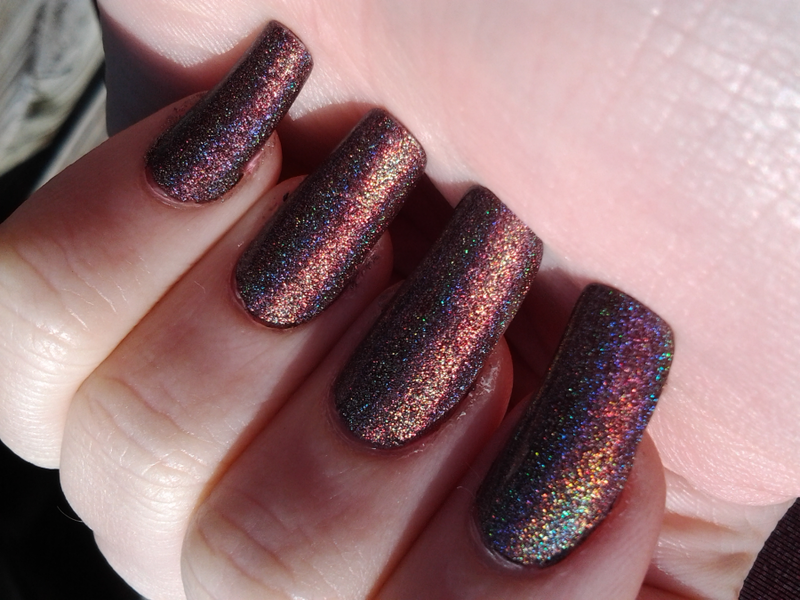 I am lucky enough to own a few (and have the 2013 Halo Hues collection on the way--cannot WAIT! ), and today I am going to show you my absolute favourite one so far: Layla Hologram Effects #16 Coffee Love. I adore it not only for the name (coffee is pretty much my life force), but for how rich and beautiful it is. Ladies and gentlemen, grab your bibs and drool-rags, because this is just off-the-charts gorgeous! The rich chocolatey coffee brown! The brilliant sparkling rainbow effects! OMG. I know I usually display nail art here, but I couldn't bear to do anything over this. 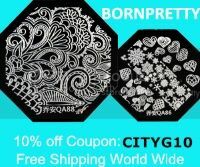 I have a stamping plate with a wee coffee cup on it, but... would you be able to cover any of this? And if the stamping had any flaw whatsoever it would just take away from the awesome. So I left it as is, and took about a hundred jillion photos. My four favourites are on this page today :D You'll want to click to enlarge them, because the full-size images are WAY nicer!